Enforcement of Lagos Master Plan as well as model city plan has attracted prime position in the inclusive growth programme of the current administration in Lagos State. Considering its growing population and challenges, physical planning issues have been high on government agenda. Lagos found itself in the web of illegal and unlawful constructions, haphazard reconstructions, difficulty in waste management, traffic congestion among other physical and material problems because it has developed independently of the efforts of city planners, through unstructured urbanism. Many buildings in the State are without building permits, which in law falsl under unlawful construction. Other contraventions noticeable in the State include developments without planning/renovation permits, non-compliance with setbacks and airspaces, utilization of setbacks and incompatible uses, all which result in public complaints and disaffection. 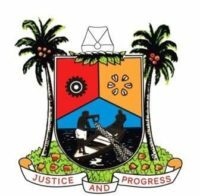 Critics are quick at lamenting about the challenges of Lagos, but most time without putting their criticism in proper perspective especially in the light of what the State looked like prior to the Alhaji Lateef Jakande administration in 1979. The truth is that Lagos remains the only State in Nigeria that is listed in the Global Livability Survey of 140 cities. This is mainly due to several strides of succeeding administrations in the State, especially from 1999 till date. Perceptive Nigerian observers who are watching what’s going on in Lagos State today would rightly agree that making Lagos a more livable city will be among contributions in the score sheet of its government. The main focus of the state government, of late, has been geared towards formulating policies and implementing programmes which are currently changing the narrative of a city that has largely developed independently of the efforts of city planners. Currently, state government is insisting that creating functional communities required adhering to the “Operative Development Plan”. In the course of action to reverse the unsavoury non- conforming trend, as even observed but not limited to such government schemes as Ikeja GRA, Ogudu Scheme, Ogudu Scheme Phase II, Magodo Scheme I, Magodo Scheme II, Amuwo-Odofin Scheme, Lekki Scheme I, Lekki II, Abijo Scheme, Victoria Island and Ikoyi Scheme”, the state government has directed in an Executive Order No. EO/AA01/2017 issued on January 23, 2017, that it would no longer accept distortion to the state’s master plan and model city plans. For this, the state government has been recording success in halting the growing trend of converting residential buildings to commercial use. As indicated in the executive order, it was noted that every conversion of residential buildings contravened the state’s town planning laws and regulations, and flouted stipulated norms of parking, open spaces and public safety for building construction. For every distortion of physical structure in the State today, response of government agency is swift and necessary action is sure to occur. In an effort to correct the distortions in the physical development of structures in the State and ensure compliance with the State Physical Planning Law, Lagos State Government through its Ministry of Physical Planning and Urban Development has also embarked on data collation of Event Centers and Petrol Filling Stations to complement the screening of illegal gas plants in the State. The government is concerned about the upsurge in the construction of Filling Stations, Event Centers and Gas Stations and has, therefore, taken steps to audit these developments to determine their approval status and the level of compliance with the regulatory laws as it applies to each of them. The rate at which Filling Stations and Event Centers sprang up, contributed to nuisance in terms of traffic congestion and environmental degradation. Majority of the PFS rather than approaching the State Government for planning permits get clearance from the Department of Petrol Resources (DPR) and construct without approval which is a violation of the Regional and Urban Law of Lagos State. Moreover, to turn identified activity centres within the state into vibrant and organized areas through the preparation of master and model city plans, twelve model city plans had so far been prepared. These are Lekki Comprehensive Master Plan, Badagry Master Plan, Ikoyi-Victoria Island Model City Plan, Ikeja Model City Plan, Alimosho Model City Plan, Mainland Central Model City Plan, Apapa Model City Plan and Agege-Ifako Model City Plan. Others are Epe Master Plan, Ikorodu Master Plan, Oshodi-Isolo Model City Plan and revised Ikeja Model City Plan. Urbanization is being raised as the major thrust of government to provide a safe, secure, productive and functional State as an essential ingredient for the physical, psychological, social and economic well being of the people of Lagos State in accord with the dictum of the current administration. The logic of Lagos urban renewal could be better understood from the new research that postulated that if Nigeria’s population continues to grow and people move to cities at the same rate as now, Lagos could become the world’s largest metropolis, home to 85 or 100 million in the next 50 years. This is why the state government policies are focusing on today and the future. A lot has also been done in the area of building control as an inventory of abandoned buildings in the State was undertaken. Recently, the State government published the first batch of these abandoned buildings and issued a 90 days ultimatum to owners to take possession or be ready to face legal the wrath of the law. The long term goal is to continue to carry out this inventory and other such control mechanisms until every building constructed in Lagos State is fit for human habitation. Government is determined to ensure that no developer is allowed to put people’s lives at risk. Through the Lagos State Urban Renewal Agency (LASURA), attention has been shifted from the traditional way of tackling slum issues to a more pragmatic approach such as the introduction of tax increment financing to fund infrastructural development in slum areas. Rightly, all encumbrances on the Right-of-Way for all infrastructure renewal projects in the State are being removed while government is insisting on compliance with layout plans to guide against and or correct haphazard developments, thereby eradicating the growth of slums and ensuring a livable environment. Government has also intensified efforts in vital areas such as Processing and Approval of Layout Plans; Preparation of Development Guide for Excised Villages; Monitoring of Existing Public and Private Estates and Determination and Establishment of Right-of-Ways (ROW). All these are necessity in a population with unstoppable growth to enhance guided development and to discourage continued growth of slums in both Public and Private Estates. Undoubtedly, efficient and effective planning remains the path to economic prosperity, social stability and improved quality of life of our people. This is why the Lagos State government will continue to work on the improvement, renewal and provision of sustainable planned human settlements.